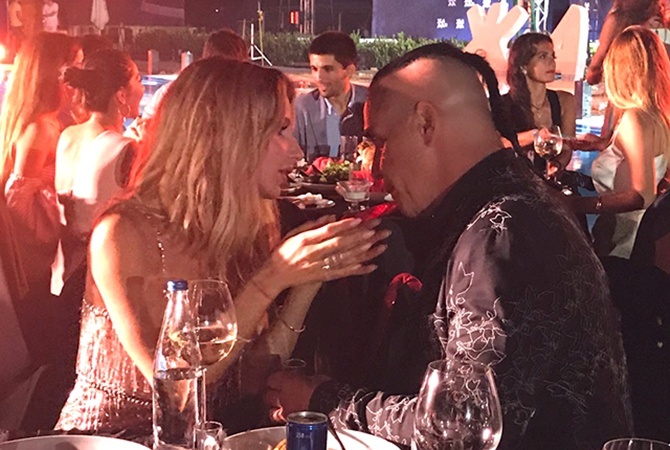 Svetlana Loboda is pregnant with Rammstein Till Lindemann's baby? Svetlana Loboda's child: guess who dad is? According to Russian media, Svetlana Loboda will become a mother for the second time. And it will happen very soon - in May 2018. And the father of the child is supposedly lead vocalist and frontman of the German Neue Deutsche Härte band Rammstein Till Lindemann. Svetlana Loboda rarely talks about her personal life. In one of her last interviews, the artist remarked that due to the busy schedule she absolutely does not have time to search for love. Then the singer expressed the hope that her man would find her himself. And, judging by the media reports, "the very same" found Svetlana. On March 4, the portal Super reported that Loboda is seven month pregnant, and the father of the future child of the artist is the leader of the group Rammstein Till Lindemann! It coincided that at that moment the correspondents of Woman.ru were at the "Heat Music Awards" prize, where Svetlana was present. Frankly, journalists carefully looked at the figure of the actress, but, despite the voluminous blouse and oversize jacket, did not notice the baby belly. We hope that in the near future Loboda will make a point. According to rumors and reports of news portals Svetlana Loboda is in the seventh month of pregnancy. The father of the child is Till Lindemann, the soloist of the German band Rammstein. The couple met last year at the music festival "ZHARA" in Baku. Svetlana Loboda, who became the "Singer of the Year" last year and an absolute record-holder for all sorts of music awards in Russia, is now 35 years old, she already has a daughter - Evangelina Tsar, 6 years old. Till Lindemann - 57, he was married three times and has two adult daughters. His last affair with the German actress Sophia Thomalla ended. Informed sources say that the child will be born at the end of May this year. 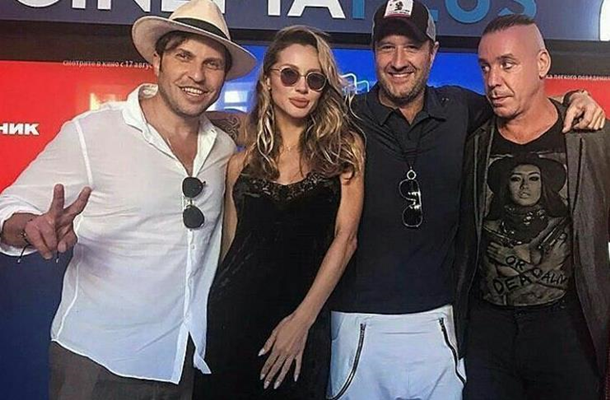 Loboda intends to give birth in Los Angeles, where she is going to leave soon. Although at the moment the singer in every possible way denies the connection with the German musician and her pregnancy.